Over the weekend, I chopped the ombre off my hair and decided to freshen up my look. I changed my circa sixth grade side part to a fresh center part. It hangs right around my collar bone and needless to say, I’m slightly obsessed with it. With the new hair comes a new styling technique. I don’t like the look of perfectly styled hair, so I needed something to pump up the volume and give it that easy going style I enjoy. So, I of course took a trip to Sephora to find some options. The associate kept pushing me to buy the Bumble and Bumble Sea Salt Spray that everyone is obsessed with, but I have tried it in the past and I felt like it made my hair crunchy and heavy (no bueno). I picked up this little cutie, and the associate kept telling me “No, get the Bumble and Bumble!” which only made me want to buy this Dry Bar product instead. 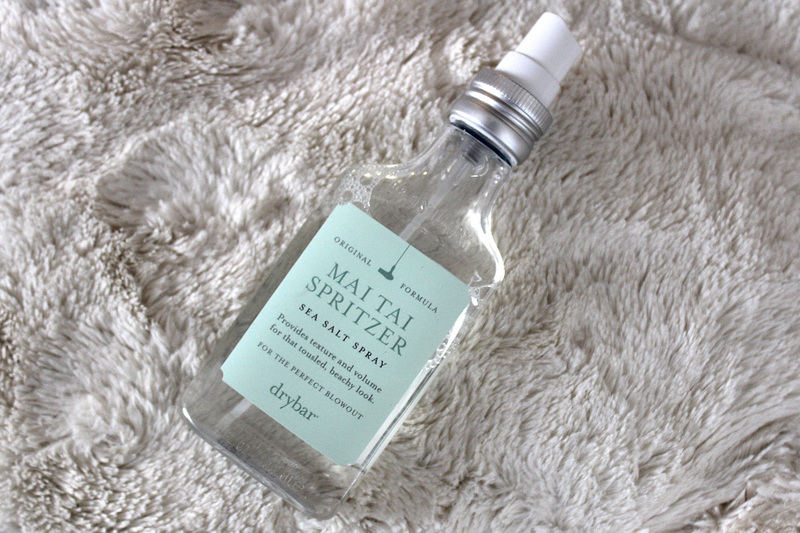 Unlike most salt sprays that make your hair as crunchy as Lays potato chips, this spritzer is a super fine mist that lightly coats your hair in the perfect amount of product. All I do is spritz my hair a few times and scrunch the sections in my hands until they are perfectly tousled. If my hair is lightly curled, it relaxes the waves and gives me an adorable boho vibe. If I straightened my hair prior to using the product, it gives my hair a “I’m cool and totally not trying” look that I think we all love. Plus it actually smells like a Mai Tai instead of coconut like all the other sprays on the market. If you have fine hair (even if theres a lot of it) like me, then this is the perfect product for you! It’s lightweight, has a pleasent scent and your hair will still have movement through the day. Posted in Beauty and tagged Boho, boho hair, bumble and blumbe, chic, chic hair, cool, cool hair, dry bar, drybar, easy going hair, fall hair, mai tai, sea salt spray, spritzer. Bookmark the permalink.